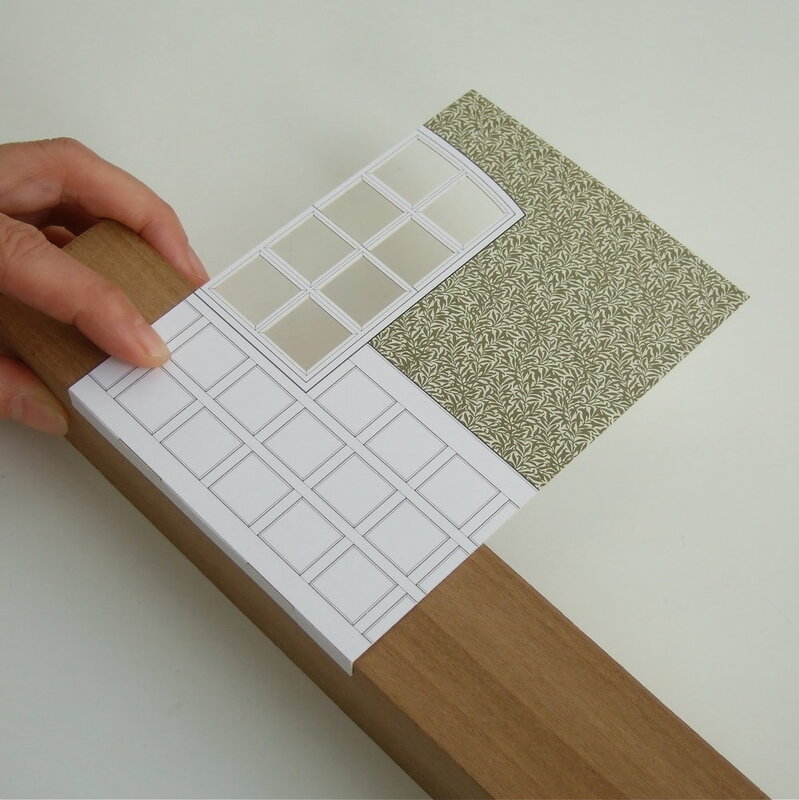 For assembling the background, you use two parts on the left, wall and floor. 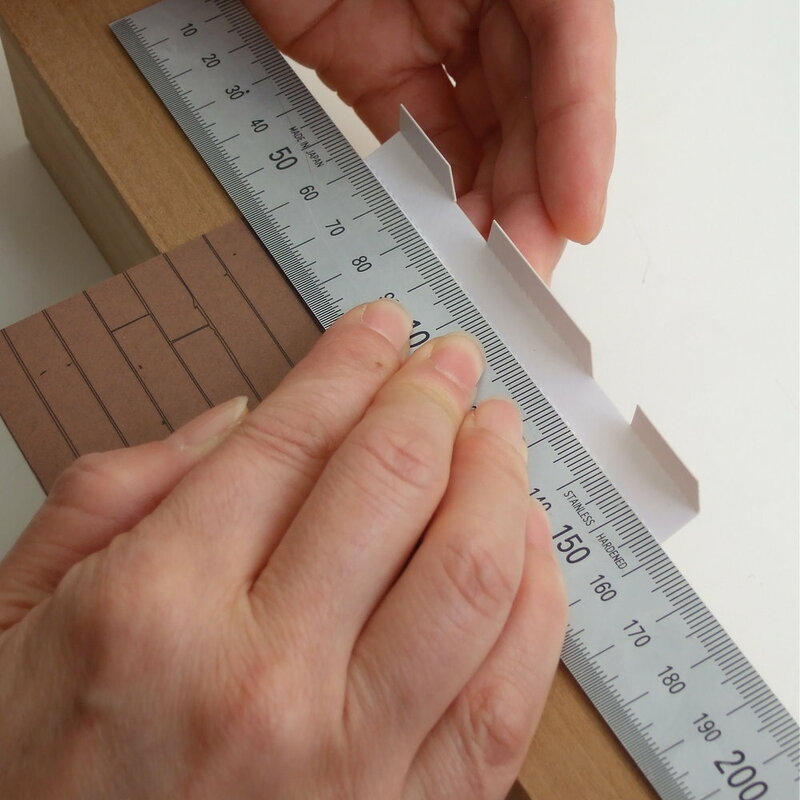 It is best to use the corner of an object such as a table edge or piece of wood, and a ruler, to fold lines cleanly. With the printed side of the WALL facing upwards, fold the bottom of the wall DOWN once, as in photo above. With the printed side of the FLOOR facing upwards – fold UP along all three dotted lines. Fold up two small tabs as well. Then turn the wall part back-side facing upwards and glue the three ‘tongues’ of the floor at the arrowed folding line ( last photo ) so that the floor is now attached to the wall. Apply glue to the hatched area, and place the floor part on the back of wall part, at the line shown with arrows. 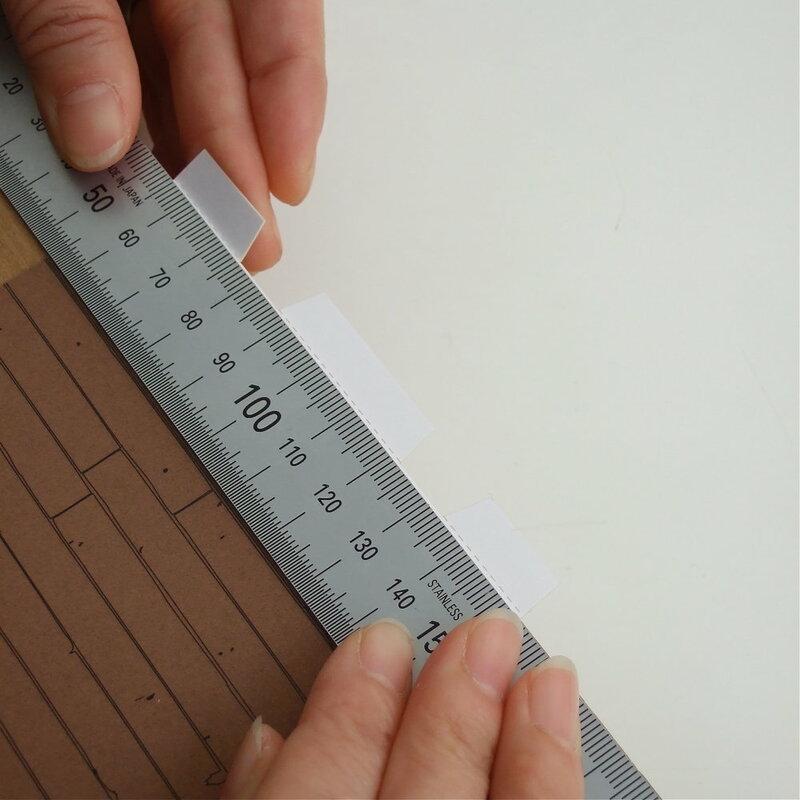 Press firmly and wait until the glue is dry. 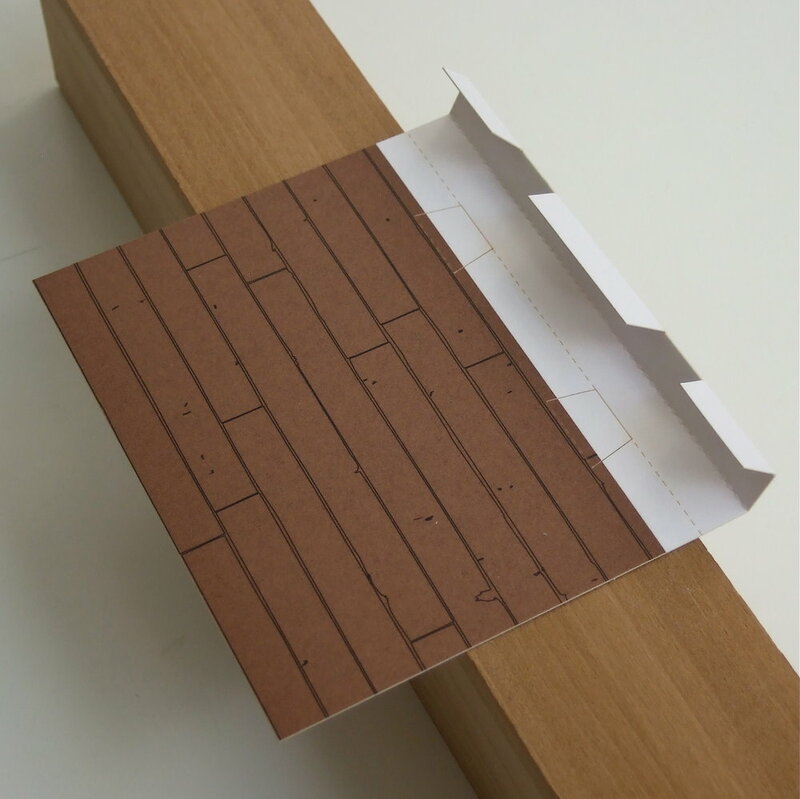 Turn the floor part around then insert the two tabs into the slots below the front of the wall – it is best to insert both at the same time. Adjust the back to make the wall and floor at right-angles to each other. 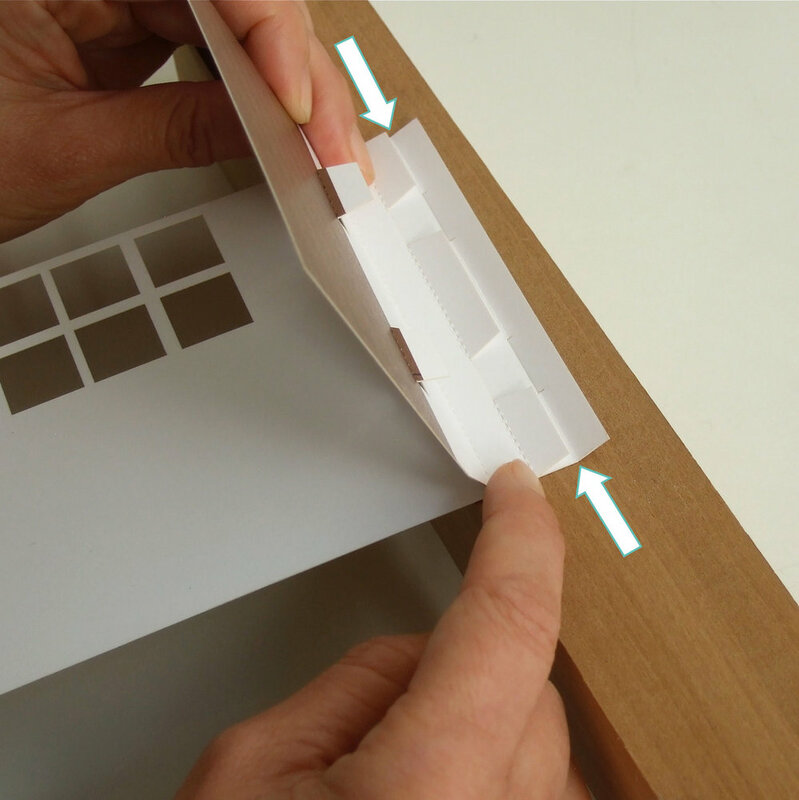 If you want, you can glue at the indicated points for a permanent display, or leave without glue should you wish to flat-pack the interior in the future. When you place the chair in the scene, the diorama is complete!